The general purpose open side 20 ft sea container allows for easy forklift access and storage of large objects that are hard to fit through the double doors of a general 20 ft shipping container. Many industrial businesses benefit from open side shipping containers, as the bi-fold side doors allow a wide 6 metre opening that is perfect for oddly shaped goods and fast forklift loading. 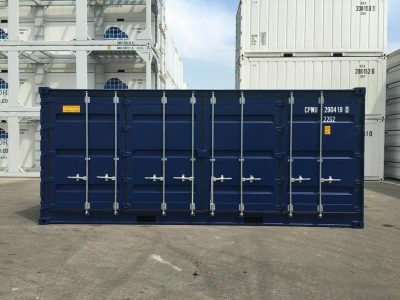 These bi-fold doors general purpose sea containers come in the standard, popular sizing of 20 feet, and are incredibly durable, weatherproof, vermin-proof, dry, and secure.